Spring has finally sprung! The days are getting longer, the temperature is rising, the snow is melting, the flowers are starting to peek through, and the birds are chirping. It’s a great time to get outside and drink in that sunshine and fresh air! And now that winter is finally passing, it’s also a perfect time to assess the condition of your commercial roof. Why is Spring Maintenance Important for a Commercial Roof? Winter can be one of the toughest seasons on roofs – depending on where you live, there may still be some snow accumulated on your roof right now! Once all the snow and ice is gone, you should do a walk-around of your commercial roof (if possible) to assess its condition. Notice any cracks that have formed? The freeze/thaw cycles of winter will cause your EDPM rubber roofing (or any other roofing material, for that matter) to contract and expand, and can lead to a condition called thermal split in your EDPM roofing – much like the process which causes cracks and potholes to form on paved roads. Any cracks you find should be addressed immediately. And if you happen to notice any water leaks inside your building, that’s a sure sign your roof needs some attention. It’s also a good idea to check your gutters for ice damage or any other issues. You may do a walk around and notice no issues inside or out. No obvious cracks or damage is a good thing! However, unless you’ve been trained in conducting proper commercial roof inspections, there’s a good chance you could miss something that a trained eye would know to look for. Even if your roof seems fine to you, spring is a perfect time to have a professional commercial roofing contractor or commercial roofing company come do a more thorough inspection. An ounce of prevention now is worth a pound of cure you’d have to face later! Should I Perform My Own Spring Roof Maintenance? Spring is indeed an ideal time to survey the condition of your roof. While it’s a good idea to check your roof out on your own if you’re able (but only if it’s easily accessible! ), it’s really best to leave routine inspections and maintenance to the experts. It’s not worth taking the risk of missing something that could come back to bite you later. It’s also not worth the risk of taking a tumble off your ladder or off of your roof itself! Scheduling inspection and maintenance with a professionally licensed and insured commercial roofing contractors are really a small investment to make on the part of your business. It ensures your personal safety, and it also ensures that your roof is properly doing its job of protecting both your employees and your business collateral. On top of this, routine maintenance provided by a reputable roofing professional is the best way to prolong the life of your commercial roof. The truth is, your home is not the only structure that needs roof maintenance. 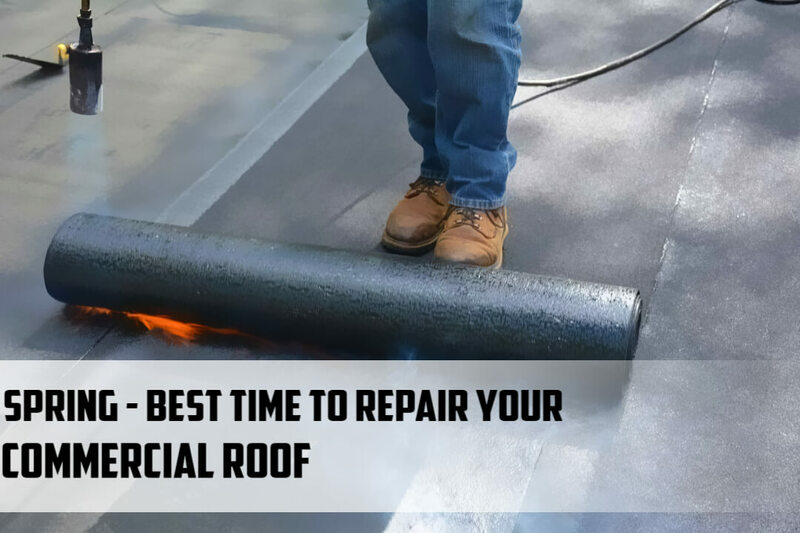 Your commercial roof occasionally needs some TLC, too. In fact, since most commercial roofs are flat or no slope, they typically need more frequent inspection and maintenance than a residential roof. Many times, commercial building owners or managers don’t pay enough attention to their roof, and this often results in a premature roof failure that could’ve easily been avoided. And let’s face it – the longer you can make your commercial roof last, the happier your business accounting manager will be! Do I Need a New Commercial Roof, or Can My Roof Be Repaired? If you have a commercial roof that’s seen a few seasons of service, it’s important to assess what’s going with your commercial roof. Is it still in good condition? Does it need some minor repairs? Is it perhaps time to consider a full commercial roofing replacement? Most commercial roofing contractors will automatically steer you towards getting an entire roof replacement, when in fact a skilled repair is all you may need. It’s worth your time to look around for a reputable commercial roofing contractor who can help you objectively assess all your options, including offering repair services when feasible to do so. Skywalker Roofing is the name you can trust for commercial roofing in the NC Piedmont Triad, Piedmont Triangle, and Roanoke, VA areas. No matter which roofing material you have covering your commercial building now, the most important deciding factor in the longevity of your roof is the manner in which it was installed in the first place. Nobody beats Skywalker Roofing’s workmanship and attention to detail. The numbers don’t lie – we’re proud to say that our customers give us a 99% approval rating! We also treat each and every commercial client as if you were our ONLY client, and we’ve operated that way since our founding in 2003. Skywalker Roofing has continued to grow both our residential and our commercial business through having a great work ethic and providing superior craftsmanship and unbeatable customer service, and we’d be honored to work with you, too! 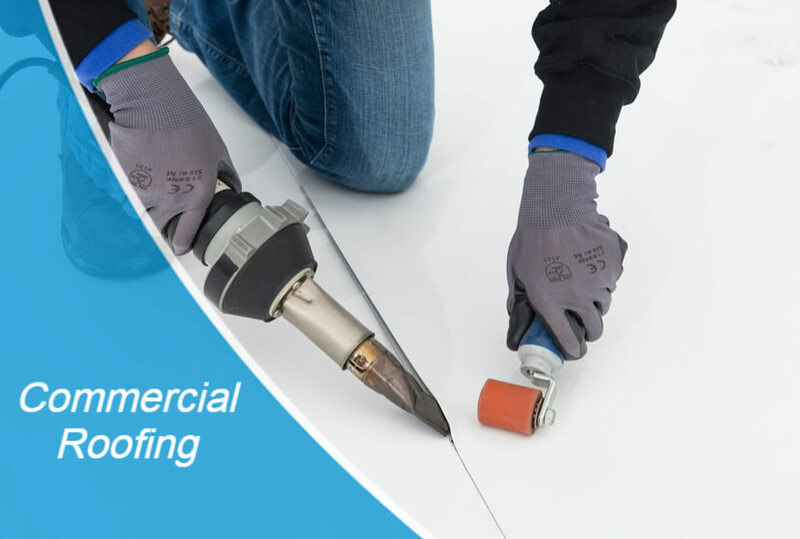 Another thing that sets Skywalker Roofing apart is the fact that we don’t just perform commercial roofing installations; we also offer comprehensive commercial roof repair services. 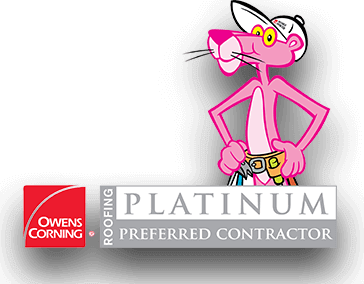 We’re glad to come to do a FREE assessment of your commercial roof and then sit down with you to listen to your needs and show you what we find in our assessment. If repairs are a viable option for your roof, Skywalker is happy to provide estimates for both commercial repair and replacement options. And if you choose to partner with Skywalker for commercial roof repair, we’re so confident in the quality of our work that we provide a two-year warranty for our roof repairs. 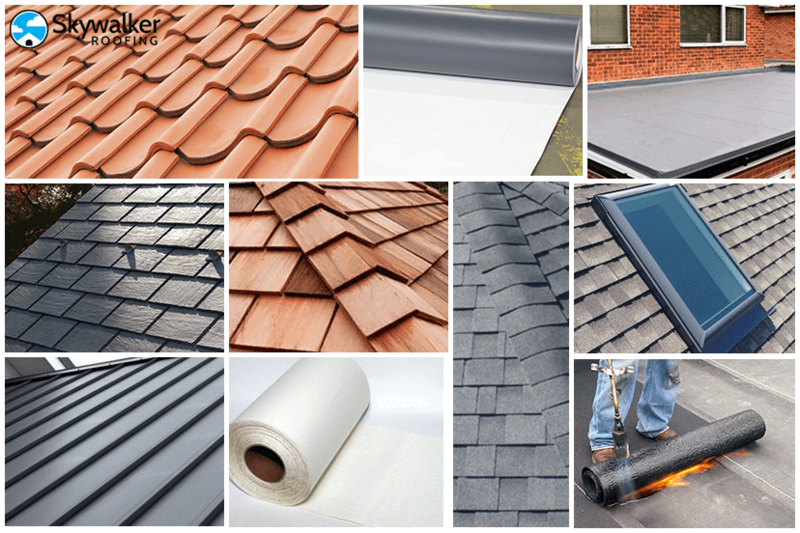 Skywalker Roofing is your BEST commercial roofing. Check out the Skywalker Roofing website, look at our customer and client reviews, and then give us a call at (336) 338-8620 to schedule your free consultation. Let us show you why Skywalker is THE best local contractor for all your commercial roofing, residential roofing, roofing, insulation, windows, drywall, and siding services!